It is our hope that after you "click" around a bit, you will feel as if you know us a little better than before. We understand that going to the dentist is not popular, and for some patients it is horrifying. We also know you have choices when you are looking for a dental provider. The content found within the pages of this website is meant to INTRODUCE, INFORM and possibly INSPIRE you in the quest of oral health and well-being. We look forward to being your "dental team" for years and years to come! They are very professional, friendly and tried to make my visit as comfortable as possible. Had no apprehension about going back. Than you Dr. Hart and staff. 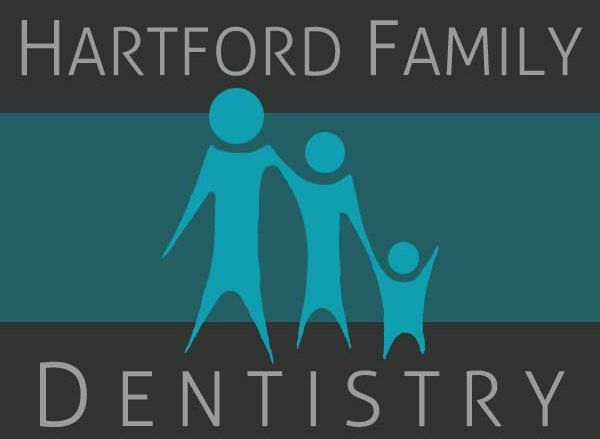 I've been going to Hartford family dentist since 2011 and have taken care of all my dental needs. Very nice office. Dianne grew up in the Wiregrass area with a brother and two sisters. She is mother of two sons, Christopher and Connor. She is an animal lover and has two dogs; Chaco and Cooper. She loves being outside with fiancee, Ken. Planting and working in a garden is a favored pastime, along with spending valuable time with her boys. As a child, Dianne remembers always wanting to be in the medical field as she loves taking care of people! She has ten years experience as a bookkeeper and title clerk, coupled with several years as an assistant bank manager. We will always be grateful for the day a team member "discovered" Dianne and her warm, bright smile at a local grocery store. She has been a vital team member for over two years now. Her enthusiasm and can-do attitude inspire us daily! Born in Bremerton, Washington, Geraldine grew up a child of the U.S. Navy in Orlando, Florida. Early on, her love of numbers and all things "math" led her into the world of Worker's Compensation as an adjuster for 13 years. In 2004, a move to Georgia gave her an introduction into dentistry at a local lab and owner of a successful pet-sitting business. Moving to Hartford, Alabama to be closer to her mother brought her to Hartford Family Dentistry as a patient and then as a valuable member of our team in 2010. Geraldine is energized by developing systems and implementing her attention to detail and organizational skills in the arena of patient financials. When taking a break from calculations and reports, she spends time with her fiancee, her 20 year old horse, 2 rescue dogs, Koi and parakeets. An interesting fact about Geraldine is that she and horse, Shawnee, won several Grand Champion titles in the hunter/jumper circuit. They enjoy one another's company in strictly leisure rides now. She also loves to fish and spend time outdoors. "Jenn" is an Alabama native and Crimson Tide fan! She played softball in high school for the Northview Cougars as pitcher. She has been married to her husband, Merrell, for 16 years. They have two daughters, Sarabeth and Mia. She now cheers from the bleachers as Sarabeth follows in her footsteps! She and her family are very active members of Campground Baptist Church in Ozark where they serve as Associate Pastor, Sunday school teachers, worship and youth leaders. Jenn has worked with Dr. Hart for almost 15 years, starting out as his assistant in 2001 when he was fresh out of dental school. She completed her Registered Dental Hygienist license in 2004 and currently provides amazing care and education for all of her patients. She loves her job and it is evident as she serves the residents of Hartford and surrounding areas. (She even has patients driving from Panama City Beach to see her!) When she has "down time", it is spent with her family at the beach, pool and movies. She is a dedicated "wogger" (walker/jogger) and last year accomplished the personal goal of completing her first 5-K. Her "bucket list" includes a trip to N.Y.C. and travel abroad. Danielle is from Keystone Heights, Fl. She joined our team in March of 2018. She comes with an extensive background in dental assisting and carries an excitement and enthusiasm that shows in her work. Her love for interacting with our patients is evident as she establishes an immediate connection with them in obvious care and concern. In her free time, Danielle likes to visit new places with her husband Austin and her two kids Taylor and Ethan. One item on Danielle's bucket list is to visit Ireland to learn about her heritage. Danielle is a She loves to binge watch shows on Netflix, visiting family, and trying out new restaurants. Danielle is a huge Gators fan, and loves watching college football! Danielle describes herself as an energetic, positive, and happy person! She truly shows it in and out of the office! All estimated fees are due at the time of treatment. We are always happy to discuss finance options. Financial arrangements must be made before any treatment is rendered. We proudly accept Care Credit as payment for treatment. As a courtesy to our patients, we will gladly file all dental insurance and offer an estimate of treatment costs prior to scheduling an appointment. Blue Cross Blue Shield of Alabama, Delta Dental, Alabama All Kids, The DentaNet group (Southland, Principal Financial, , United Health Care, Stonebridge Life). We know, it sounds too good to be true, but it is true. DenVantage is designed for people without dental insurance, or for anyone who is tired of paying premiums and getting less than they are paying for. Here’s how it works: each plan offers (for a modest monthly fee) all your routine dental care procedures such as regular checkups, cleanings, and x-rays. In addition to the routine procedures, DenVantage members receive significant savings on a wide range of dental services such as fillings, root canals, crowns, veneers, dentures and much more. PEACE-OF MIND for an extended period of time on your restorative, cosmetic and other qualifying procedures.